Following Spartak Moscow’s 4-0 surprise defeat to Krylia Soviet is perhaps an odd time to write a scout report praising one of Spartak Moscow’s midfielders. But a season is not just about single games, and Spartak are still top of the league. In fact, the Brazilian midfielder Fernando Lucas Martins, better known as Fernando, has been one of the key reasons for Spartak’s rise to the top of the Russian Football Premier League. Signed by Spartak last summer for €12.5 million from Sampdoria Genoa, the midfielder has become Spartak’s rock in midfield, a leader who fulfils a similar role as Arturo Vidal at both Bayern München and the Chilean national team. Fernando excels at ball interceptions and passing, and, even more important, has a powerful shot. At 173cm and 66kg, Fernando does, at first glance, not appear to be an especially physical player, but then neither does Arturo Vidal, who is known as der Krieger (the warrior) in Germany for his ability to combine both physical and technical elements despite his small stature. Developed by Grêmio Porto Alegre, Fernando joined that club in 2001. He was first spotted by then Shakhtar Donetsk head coach, Mircea Lucescu, who signed the Brazilian midfielder for Shakhtar in the summer of 2013 for €10 million. It was the time of the last South American wave at the Ukrainian club, the summer when the club also signed Bernard, Wellington Nem, Fred, and Facundo Ferreyra for a total of €67 million. Excluding club legend Eduardo da Silva, who was signed on a free transfer in summer of 2015, the transfers were the last foray of Shakhtar into the South American market. Furthermore, the investment turned out to be a mixed bag with Wellington Nem leaving the club for FC São Paulo, Bernard never really justifying the €25 million price tag, and Facundo Ferreya needing two years to really establish himself, as the number one striker at the club—a position that is now disputed by the prospect Andriy Boryachuk. At times, it seemed that Mircea Lucescu struggled to find the right positions or to make room for the array of talent available to him, and therefore many players had difficulty finding regular playing time. Fernando was one of those players, as he only started in 47 games—27 in the Ukrainian Premier League, for Shakhtar Donetsk in two seasons. The conflict in Ukraine, and the resulting exile of Shakhtar from Donetsk meant that the club had to downsize its playing personel in order to save costs. Players who were on the fringe were therefore put up for sale, and Fernando was one of the stars on his way out. The club sold the Brazilian to Sampdoria Genoa in the summer of 2016 for €8 million. At Sampdoria Fernando quickly established himself in the starting eleven and became a key member of the Serie A team’s midfield, scoring four goals in 33 games. It was, in many ways, a vindication for the young Brazilian, as he showed that he could have been a much more valuable player for Shakhtar Donetsk if he had been used in the right way. Some of it, of course, could be explained by the fact that Mircea Lucescu also struggled to develop Shakhtar Donetsk further in his last two seasons with the club. Tired of the conflict and the exile, the Romanian coach developed a very thin skin and often got stuck on problems that he could not influence, rather than focusing on developing the many players at hand. 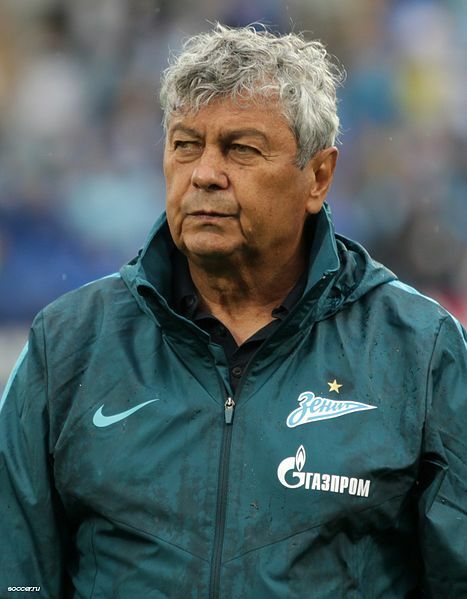 That is not to say that Lucescu has lost his coaching ability—his current results at Zenit, in fact, show the opposite—but the fact that he failed to properly integrate players like Fernando, and the reality that new Shakhtar coach Paulo Fonseca has managed to move the club forward without major signings meant that a change was necessary. For Fernando, however, the change at the top of Shakhtar came one season too late and, instead, he made the move to Italy where he showed that he can be a top midfielder, who can both dictate a game by scoring goals and giving assists, and can also use his body to break up attacking plays by the opposition. Indeed, it was at Sampdoria where he developed a style of play that is reminiscent of Arturo Vidal. He collected 14 yellow cards in 34 Serie A games last season, and often appeared on the brink of a red card without actually ever being sent off. Sampdoria spent much of last season in the bottom half of the table, and perhaps without Fernando would have even been relegated. 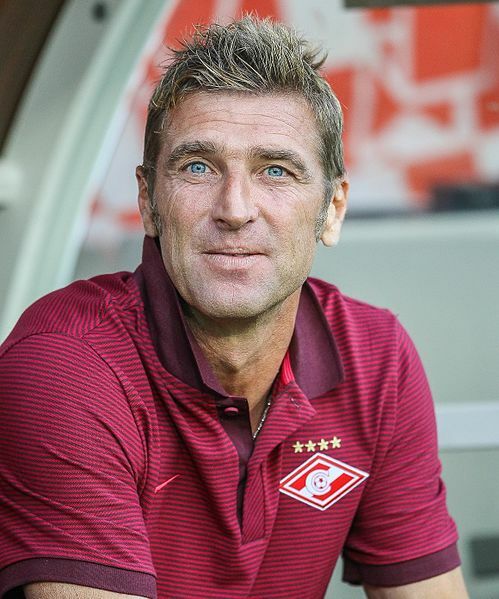 In the summer, Spartak Moscow signed Massimo Carrera as the assistant coach to Dmitri Alenichev. In retrospect, the signing seems to have been made with the anticipation of Carrera replacing Alenichev as Spartak’s head coach—which is precisely what happened following Spartak’s disappointing collapse in the Europa League qualification stage against AEK Larnaca. The above-mentioned disappointing result against Samara aside, Spartak have been, by far, the best team since Carrera took over, and rightfully sit on top of the table. In many ways, Fernando has become a key piece for Carrera’s success, as the midfielder is Carrera’s extension on the field. As Andrew Flint pointed out in the Futbolgrad Podcast, Carrera communicates quite often with the Brazilian midfielder who, thanks to his time at Shakhtar and Sampdoria, seems to know a smattering of both Italian and Russian, and can, therefore, communicate well with the coach and the players on the pitch. The midfielder is far more than just Carrera’s extension, as he has been magnificent in dictating Spartak’s midfield both in breaking up attacking plays, and also in setting the pace for Spartak going forward. In fact, Carrera aside, Fernando, who was bought for €12.5 million in the summer, might be Spartak’s best signing for this season. 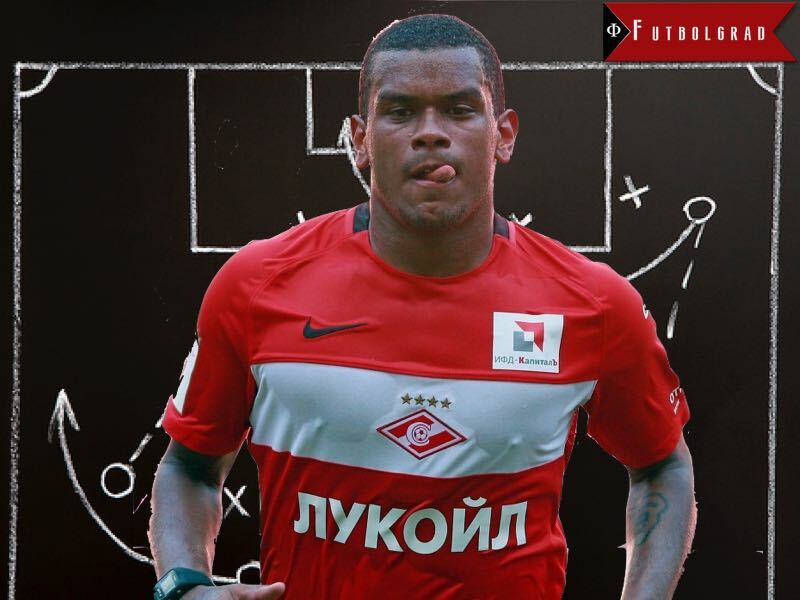 The main question, of course, is whether Spartak will be able to hold on to Fernando, as the 24-year-old combines character and abilities that are hard to find in midfielders today.